Blythewood Gloriosa Florist has been your leading, reliable florist offering breathtaking floral designs and gifts for the Blythewood, Columbia, and surrounding area for many years. We are a reputable shop, with expert designers who will design any style of arrangement for you, whether you prefer something totally unique or wonderfully traditional. 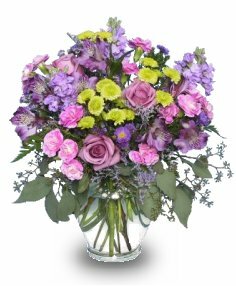 At Blythewood Gloriosa Florist, each of our arrangements is a one-of-a-kind, floral presentation. Our shop not only stocks a vast array of fresh and silk flowers, we also specialize in a variety of green and blooming plants, indoor and outdoor hanging planters and gardens, as well as customized snack gift baskets. Surprise someone today with a special delivery of colorful fresh flowers, a striking green plant, or delicious fruit and gourmet basket. You can always depend on Blythewood Gloriosa Florist to help you choose the perfect gift for any age or occasion. When you’re looking for something special, we can customize what you need for a birthday, anniversary, party, wedding, sympathy and more. Let us make your special day, extra special!! Contact Blythewood Gloriosa Florist when you need to plan your wedding, a party or any special event. Our beautiful selection of high-quality flowers and eye-catching design styles are sure to bring rave reviews at every festive occasion! When the time comes, you can also depend on us to help you choose funeral flowers that beautifully convey your expressions of sympathy and serve as a lovely tribute to the deceased. Blythewood Gloriosa Florist is open to serve your floral and gift giving needs: Monday through Friday 9:00 to 6:00 and Saturday 9:00 to 3:00. For your convenience, we offer daily delivery to local hospitals & funeral homes and we accept all major credit cards. Thank you for visiting our website for flowers delivered fresh from a local Blythewood, SC florist and convenient online ordering available 24 hours a day! !